The Patriot Takes This Opportunity To Wish Y.A.B. Dato’ Sri Mohd Najib Tun Abdul Razak Congratulations On His Second Year In Office As The Right Honourable Prime Minister Of Malaysia. May Allah’s Grace And Blessings Be Upon Him And The People Of This Great Country. Amin. AFTER every by-election, the temperature on the political thermometer goes up a notch for Barisan Nasional. This is especially so in the last eight by-elections where the coalition party won seven -- five with increased majority, two wrested from the opposition and one lost. The mercury is slowly rising.Some political observers said this augurs well for Datuk Seri Najib Razak to seek a fresh mandate from the rakyat, his own after he was sworn in as prime minister two years ago this April, especially after Sarawak Chief Minister Tan Sri Abdul Taib Mahmud delivers a handsome win of the state election on April 16. The infighting within the opposition also lends support to this conviction. The prime minister has been laying down the groundwork to, among others, restore the confidence of the majority of the voting rakyat and the foreign investors. The string of back-to-back by-election victories showed that most Malays and Indians have returned to the fold, with a slight increase in Chinese approval. This was not so much because of BN or even of their own leaders in the coalition but more on the promising quality and sincerity of Najib's leadership and economic acumen. The foreign investors have also put Malaysia back on their radar. Last year alone, the Malaysian Industrial Development Authority (Mida) approved investments in the manufacturing sector totalling RM47.2 billion. The ringgit has increased in value by 44 points from RM3.52 to RM3.08 against the greenback, the Kuala Lumpur Composite Index has risen from 966 to 1,521 points, and the equity market capitalisation has increased by RM221 billion. All these are the positive outcomes of Najib's economic policies and personal supervision. First, there was the stimulus packages to the tune of RM60 billion, introduced in the first quarter of 2009, which saw the economic environment positively enhanced, especially in the construction sector. Then came the New Economic Model (NEM), meant to transform Malaysia into a high income country by increasing productivity and investments from abroad by the year 2020. There was also the economic liberalisation measures, which lowered the minimum quota for Malay ownership in traded companies in various sectors from 30 per cent to 12.5 per cent. It also allowed foreign investors to maintain majority holdings in most ventures, with the exception of utility firms and banks. In addition, government subsidies were reformed to better serve only the deserving instead of spreading it across the board and benefiting even the wealthy. Those which were revised were primarily for sugar and fuel. The revision was two-pronged; one, to promote a healthy lifestyle for the rakyat and the other, targeting financial assistance to the rightful beneficiaries to government aid. Although the reforms save the government approximately RM1 billion, it is still spending RM8 billion annually subsidising the rakyat. The government also reached out to the young by announcing a housing scheme for fresh graduates. It enables those earning less than RM3,000 a month to obtain a 100 per cent loan from certain financial institutions for houses ranging between RM100,000 to RM220,000 over 30 years. Furthermore, in appreciation for the loyal service of civil servants, free medical facilities at government hospitals are provided for those who retire under the Employees Provident Fund scheme and their dependents. Najib also announced a full gratuity payment for those opting for early retirement under the same scheme. Last Sunday, he shared with the rakyat the first annual report of the Government Transformation Programme he introduced last year to enhance the performance of the government machinery. His ministers, their ministries and the civil service were introduced to the National Key Result Areas (NKRAs) and Key Performance Indicators. In the first annual report, Najib said the GTP "had ignited a new passion and enthusiasm among many civil servants as well as challenged others to realise their full potential and responsibility to the rakyat". He was proud of his "product", saying that it delivered many positive outcomes. "The GTP has registered many 'firsts' that have directly or indirectly, enhanced the lives of millions. We have broken new ground and are on the verge of greater accomplishments. However, we are also mindful that we should not declare victory before achieving our goal of becoming a developed country and as such, will strive to set higher goals for ourselves moving forward. "I am positive that through the GTP roadmap, the NKRAs, the Economic Transformation Programme (ETP) which has at its core the National Key Economic Activities (NKEAs) to drive economic growth and the Strategic Reform Initiatives (SRIs) to enable growth, as well as a host of other initiatives, we will be on track to achieve the aspirations of Vision 2020. The journey forward will undoubtedly be challenging, perhaps even more so than the last one year, but we are up to the task - ready and willing to champion the cause of bringing tangible and positive outcomes to the rakyat," he had said in the annual report launched last Sunday. The positive political and economic environment augurs well for us but it needs to be sustained for the country to prosper and grow to greater heights. We are in a position to help our leaders get the fresh mandate they need to follow through the progress thus far. Those in BN, especially the local Umno leaders in the opposition states of Selangor and the three other states should shake off their arrogance, roll up their sleeves and work with one another to complement the exceptional work by the federal leaders and return these states to the BN fold. We must certainly work hard and right for this to happen as the rakyat deserves only the best. The Writer Is The Vice Chief of Pulai UMNO Division. Tak dinafikan PM Najib mmg tengah ada momentum tapi bagaimana pula dgn org2 disekeliling dia dan kerenah parti2 komponen spt MCA yg lebih banyak menyusahkan PM dari membawa kesenangan?? DONT BE TOO OVERCONFIDENT TPJ cause it may BITE you back. As long dlm Bn ada leaders mcm Nazri and Chua Soi Lek,sampai bila pun org akan tetap menyampah kat BN. Dahlah bawah Najib semua barang harga naik.Cuba lah justify sikit apa yang Najib cuba nak achieve wahai Encik TPJ? tuh.Takkan dia masih tidur lagi kot kat Pulau Pisang? In the name of LIBERALISATION,pls share with us berapa banyak hak2 Bumi/Org Melayu yg telah ditarik balik atau dikurangkan oleh Mr Najib kita sejak dia menjadi PM dua tahun lepas?Dlm aspek spt biasiswa,kuota dlm industri saham,pembahagian geran, kekayaan/projek dll? Saya ingin mengajak Mr Patriot untuk mendengar dari pakar2 ekonomi ttg figure2 yg menakutkan ttg di mana kita sbg org Melayu di bumi Malaysia yg tercinta ini. Lab PEMANDU siapa yang paling banyak dapat manfaat?Idris Jala is simply out of control. Saya bukanlah nak semua benda diberikan kpd Melayu tapi janganlah pulak dlm satu kek yg besar,peratusan yg Org Malayu dapat sangatlah sedikit.Apa salahnya kekayaan dikongsi sama rata dan dgn adil.Sungguh memalukan keadaaan ini. Saya juga tahu ramai yg tak suka Perkasa tapi janganlah pulak menjadikan mereka musuh kepada UMNO.Banyak facts and figures yg boleh diambil dari mereka sbg bahan rujukan utk Mr Patriot utk disampaikan kpd PM ttg realiti yg dihadapi oleh org Melayu.Barulah nama pejuang bangsa agama dan negara. Apa pun terima kasih kerana sudi membaca dan saya mmg LIKE cara penulisan Mr Patriot. As long as the exposure of our First Lady aka rosmah Mansur dapat dikurangkan/diminimumkan sebanyak mungkin,I think PM can do much2better dari segi imej dan likeability. Boleh tak bila jumpa rakyat,number of bodyguards tu kurangkan sedikit. Kita sayang sama Pm kita tapi tunggu berejam bila salam pun tak nak tengok mata kita.Mcm nak tak nak aje. Apa pun akau sayang Najib and aku rasa dia PM yg ketiga terbaik selepas Tun Razak and Mahathir tapi kalau boleh aku nak dia lebih humble dari sekarang. What's the story with your chief in your Pulai division Mr TPJ? Something wrong somewhere lah with him? Until today I can't figure out how the XXXX did the Chinese school can get RM3 million grant during one of the by election? they should share in their website on how to dupe our PM in giving such huge sum with minimal return.Manalah tahu sekolah2 agam pun boleh hantar proposal yg hebat mcm sekolah Cina tu kpd PM kita. Rm10 to the Malays,Rm5 to the Indians but RM100 to the Chinese. Sehandal handal Bn and UMNo tapi kalau takde spin doctors yang handal pun tak guna. Syukur ke hadrat Allah swt kerana memberikan pemimpin yang dinamik dan prihatin seperti DSN. Sebagai rakyat Malaysia,saya sangat bersyukur tinggal di negara yang bertuah ini di bawah pemerintahan Barisan Nasional. Satu lagi penulisan yang hebat dari anda. Saya cuma nak menambah ucapan terima kasih kepada PM untuk TERAJU,EKUINAS dan MTAB. Harap2 bukanlah sekadar window dressing untuk orang2 Melayu tetapi sebenarnya memberikan impak yang maksimum terutamanya TERAJU. Mr PM and BN are so lucky because in Malaysia we have Lousy and Pathetic Opposition with so many issue left unanswered. As long as I can leave peacefully and can cari makan,my vote will always be for BN no matter what. I just government won't take our votes for granted because we never know what will happen tomorrow. Saya baru sahaja diperkenalkan oleh seorang sahabat di Johor Bahru untuk membaca blog Tuan. Saya bukan nak membodek Tuan TPJ tapi setiap hari saya akan buka minda dan hati saya untuk membaca FB,paper dan blog dari penulis yang Anti dan Pro kerajaan sekurang-kurangnya sejam sehari dan saya cuba buat analisa mana yang baik,mana yang buruk,mana yang real dan mana yang autah. Saya dapati kebanyakan yang ditulis adalah lebih kepada hearsay,copy paste dan mengikut emosi sedangkan apa yg tuan tulis berdasarkan fakta yang jelas dan terperinci. Saya cuma nak bagitahu yang saya secara rasmi menjadi "FAN TPJ" dan blog Tuan TPJ berada di level yang sangat tinggi untuk saya dan saya sangat kagum membaca apa yang Tuan TPJ tuliskan di blog Patriot.Blog ini juga antara beberapa kerat yang tuan punya blog berinteraksi atau cuba sedaya upaya menjawab setiap komen yang diberikan baik komen itu positif atau negatif. Tahniah kepada Tuan dan saya harap kalau boleh keraplah sedikit menulis walaupun saya faham yang Tuan TPj ni sibuk orangnya. Salam dari JB untuk tuan dan semoga Tuan dan keluarga sentiasa dalam kesihatan yang terbaik. RM10 for every Singapore/Thailand car that enters Malaysia. Believe me they will still come. Ini baru kita panggil Malaysia Boleh. He's cool,he's a breath of fresh air,he's brilliant,he's handsome but he's too LIBERAL.. I'm damm scared on the future of my kids especially on the education scholarship..
Benar, bahawa selain dari Dato' Sri Najib dan Timbalannya, yang lain seolah2 bersifat hanya sebagai penumpang percuma di dalam kenderaan yang akan mengembalikan Negara kita ini ke landasan yang benar dan berjaya. Insha'Allah, berikanlah sahaja beliau mandat penuh melebihi 2/3 dalam Parlimen, dan apabila beliau ada sokongan penuh dari Rakyat, maka seluruh Kabinet dan GLC akan disamak dan disucikan daripada pemimpin2 yang malas lagi bongkak. Mereka akan digantikan dengan angkatan pasukan Najib yang benar2 boleh berkerja dan bersifat sepertinya, iaitu berkesan, rendah diri lagi berhemah. Berkenaan dengan MCA dll. Sudah pun kita lihat bagaimana Dato Sri Najib dapat menangani karenah mereka dengan tidak memberi muka lagi kepada pemimpin2 mereka sebagaimana dibawah Pak Lah dahulu. Samy Vellu yang agak liat pun sudah mengundur diri di bawah kepimpinan Najib dan segala peruntukan kepada samada kaum India atau pun Cina tidak lagi disalurkan melalui tangan mereka tetapi datangnya dari tangan Najib sendiri, sementara pemimpin mereka hanya hadhir sebagai tetamu sahaja, sekaligus mengingatkan semua bahawa pemimpin mereka bukannya Chua Soi Lek ataupun Palanivel tetapi YAB Dato Sri Najib Razak! Dengan izin Allah, sekarang ini, pemimpin2 komponen khususnya di Semenanjung bergantung nyawa kepada Dato' Sri Najib dan pendekatan beliau kepada Rakyat kerana muka2 mereka tidak lagi laku dikalangan bangsa mereka sendiri. Contohnya Chua Soi Lek di bahagian dan halaman rumahnya sendiri diTenang yang mana kita lihat sebahagian besar kaum Cina telah menolak MCA. Percayalah. Segala kudis, nanah dan darah kering yang ada di Putrajaya akan dikikis dan kulit baru akan tumbuh semula. Insh'Allah. Hanya yang terbaik untuk Rakyat sahaja yang akan dikekalkan dan dipilih oleh Najib. Beliau hanya memerlukan mandat dan kepercayaan dari Rakyat yang patut dan wajib menerima kepimpinan yang berprestasi Tinggi lagi Unggul! Terima Kasih kami hulurkan kepada Tuan Haji kerana sudi melapangkan masa untuk bersama kita di sini. Over-confidence is a dangerous affliction. However, being confident in good measure especially on the backs of fine results and positive statistics is sometimes good for the political Soul. With good support behind us, the jaw that tries to bite will very soon discover that they will lose their teeth and severly damage their gums on their first attempt. I'm humbled by your kind words. Under the new stewardship in UMNO, I'm certain more will be inspired to participate while those who are already in place will be given more space to breath and contribute for the greater good of the Nation. I thank you for dropping by and hope that we can have more engagements with you in the future. Think of Najib and Vote BN. He is our leader, not members of his family who will eventually know their places, which is either by his side or behind him, but never in front or ahead. Thank you for your good wishes. Vote BN for a truly United country. Try this Distinguished Gentleman from Pekan. 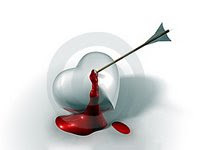 You will get full satisfaction from him in less than half the time achieved by his predecessors. God Willing. 1. Chua Soi Lek sudah tidak lagi begitu relevan melainkan dalam partinya sendiri. MCA, walaupun baru mula nampak macam hendak berkerja keras, masih lagi tidak laku dari kacamata rakyat Cina. 2. Dari itu, apabila kita fikir tentang BN, sila bayangkan kepimpinan Najib Razak dan bukannya Soi Lek. 3. Nazri pula adalah "loose cannon" yang kadang2 kita perlu ada untuk melawan akhlak pembangkang, lebih2 lagi dari pihak rakan2 di dalam BN yang bertabiat seperti pembangkang. 4. Sebab itulah saya ada pernah cadangkan kepada Presiden UMNO untuk menggantikan beliau dengan orang lain dalam MKT UMNO kerana kadang2 pandangannya berbeza sungguh dengan pandangan orang Melayu khususnya didalam parti UMNO ( http://tpj-one-thepatriot.blogspot.com/2009/12/open-letter-to-umno-president-re-nazri.html ). Namun tidak salah kalau beliau dikekalkan di dalam kabinet dan Parlimen untuk menjadi "sweeper". 5. Kita perlukan juga tukang jerit yang ada gaya, bukan macam jenis yang mengutuk kaum hawa dan sepanjang zaman berjenaka didalam Parlimen. 6. Bukan semua barang yang naik. Juga kalaupun ianya naik, Najib menentukan bahawa rakyat yang berpendapatan rendah mendapat pembelaan yang tinggi. Umpamanya, minyak kereta dibezakan supaya rakyat ada pilihan, yang satu tiada subsidi untuk kereta mewah dan orang yang berkemampuan tinggi dan yang satu lagi untuk orang kebanyakan seperti saya dan ramai lagi. 7. Dalam hal ini juga kita harus ingat yang bukan semua orang yang dibela itu jujur dan setia. Ramai yang telah menyalahgunakan subsidi ini dengan menjual semula minyak dengan harga pasaran. 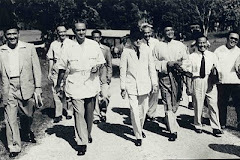 Namun demikian kerajaan berwaspada dan telahpun mengambil langkah2 yang lebih baik dan tepat supaya yang jujur tidak dianyaia. 8. Di antara perkara yang naik juga ada kebaikannya seperti index bursa saham Kuala Lumpur yang meningkat 600 mata dan modal pasaran keseluruhan yang bertambah dengan RM220 bilion semenjak beliau menjadi Perdana Menteri, yang mencerminkan keyakinan pelabur2 diatas ekonomi negara yang sekaligus akan diterjemahkan kepada pekerjaan dan tahap pendapatan kepada Rakyat kita, Insha'Allah. 10. Walaubagaimana pun, kenaikkan nilai Ringgit ada dua kesan. Kalau adapun kurang baiknya adalah jika nialinya naik, maka barangan eksport kita menjadi lebih mahal. 11. Umpamanya kasut senam jenis Power kita adalah RM100. Apabila pengimpot di Amerika Syarikat membelinya di kadar dahulu, ianya dengan USD26 (USD1=RM3.80). Sekarang mereka terpaksa membayar USD32 (USD1=RM3.08) menyebabkan barangan kita lebih mahal dan kemungkinan tuntutan atau permintaan (demand) akan berkurangan untuk barangan dari negara kita. Jika ini terlalu ketara, maka ianya boleh menyebabkan kehilangan pekerjaan dikilang2 tempatan. 12. Sebaliknya, kenaikkan nilai matawang kita menyebabkan ianya menjadi lebih murah untuk belanja diluar negara kerana dengan ringgit yang kurang (oleh sebab nilainya sudah lebih tinggi), kita boleh mendapat lebih Dollar Amerika untuk belanja di Rodeo Drive umpamanya atau di mana2 Factory Outlet disana dengan lebih selesa. Ini adalah baik bagi pelancung tempatan tetapi kurang baik untuk ekonomi negara kita kerana ringgit kita menyalur keluar kenegara asing. 13. Saya terpaksa menyokong pandangan anda tentang Ketua Penerangan UMNO yang hanya nampak dimerata tempat yang mana ada kehadiran Perdana Menteri. 14. Beliau juga seharusanya pulang balik seperti tabiatnya dahulu yang mana beliau tidak seperti "kadok naik junjung". 15. Sememangnya beliau seorang yang berpotensi semasa menjadi setuiausaha politik kalau saya tidak salah, kepada Menteri Mustapa Mohamed, dan cukup baik sifatnya dan berkerja keras diwaktu itu. 16. Sayangnya, sebagai Ketua Penerangan UMNO, beliau tidak merealasasikan potensi yang ada pada beliau dahulu. Banyak lagi yang boleh dibuatnya dengan lebih berkesan. 17. Saya berharap agar Anonymous 12:00 bagilah kepercayaan kepada Dato Sri Najib untuk memandu kita kembali kearah kemajuan sejajar dengan impian Tun Dr Mahathir dahulu. 18. Tidak seperti beberapa pemimpin yang lain, politik bukannya bahan daganganan untuk Almarhum Tun Abdul Razak dan bakanya. Saya kenal benar dengan keluarga ini. 19. Insh'Allah, politik kepada mereka adalah tanggungjawab keluarganya kepada Bangsa dan Negara. 20. Jika ianya telah ditaqdirkan, maka marilah kita sama2 menjayakannya demi Negara kita yang tercinta. Terima kasih kerana sudi bersama memberi pendapat disini. 1. Mungkin ada hak2 Melayu yang telah dikurangkan tetapi bukan ditarik balik sama sekali. Juga yang dikurangkan itu adalah dikalangan bidang yang paling sedikit diceburi oleh orang Melayu. 2. Saya masih yakin bahawa jumlah yang paling besar dan ketara dalam pembahagian biasiswa adalah bagi orang Melayu. 3. Pembahagian geran pula, jika pun tidak ramai Melayu yang dapat adalah kerana tidak ramai yang tahu bagaimana hendak memohonnya dan tidak pula mahu berbelanja sedikit untuk menawarkan kepada konsultant2 untuk menyediakan permohonan yang sempurna bagi tujuan itu. Apabila penerangan atau kursus tentang perkara ini diadakan oleh pihak2 tertentu, tidak ramai yang hadhir dan kalau yang hadhir pun mereka2 yang tidak memenefaatkan keistimewaan ini. 4. Saya rasa Tuan sendiri sedar bahawa ada Melayu yang telah diberi peluang didalam projek2 dalam jangkamasa dua tahun ini tetapi masih awal untuk melihat kesannya. 5. Ramai juga Melayu yang telah diberi projek2 dimasa lalu tetapi telah melingkupkan syarikat, sedangkan diri mereka tetap kaya secara peribadi. Mengapakah bangsa Cina lebih berjaya secara keseluruhan? Ianya bukanlah kerana mereka sehebat mana sedangan projek yang mereka dapatpun datangnya dari tangan pemimpin Melayu. Namun ahli2 korporat mereka bertanggungjawab kepada bangsa mereka sendiri. Mereka menjayakan projek mereka itu dan memberikan peluang untuk bangsanya berjaya dibawah syarikat yang sama, bukan macam korporat Melayu yang hanya menggunakan syarikatnya itu untuk mengkayakan diri mereka tanpa membangunkan anak bangsanya sendiri didalam syarikat yang sama. Contohnya kalau kita ingat Celcom diberi kepada siapa? Ianya bertahun sebelum kita mengenali Maxis. Dimanakah Maxis pada hari ini? Siapakah yang mendapat cable TV yang pertama, kalau tidak silap saya Mega TV bertahun sebelu kita mengenali Astro? Dimanakah Mega TV hari ini? 6. Saya ingin mengikuti Tuan jika sudi mengundang saya untuk mendengar dari pakar2 ekonomi yang memberikan "figure2 yg menakutkan ttg di mana kita sbg org Melayu di bumi Malaysia yg tercinta ini." 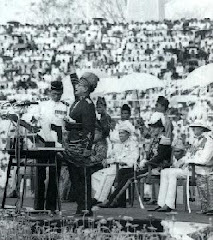 7.Selain dari hanya memberi angka2 yang menakutkan yang saya juga percaya ada kesahihannya, saya juga ingin mengajak mereka untuk menyumbang akal dan fikiran bagaimana kita boleh mencari resolusi dan memenfaatkannya dengan secara positif. Saya rasa jika ianya bukan dalam bentuk desakan tetapi pandangan, pihak kerajaan tentunya tidak sebongkak dan sebodoh itu untuk menolaknya sama sekali. Insh'Allah. 8. 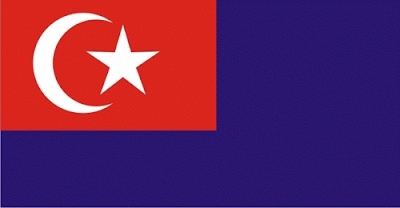 Saya faham akan kekecewaan yang Tuan rasakan dan Insha'Allah kita akan meningkat maju dan lebih kuat sebagai bangsa Melayu di bawah kepmipinan Najib kerana sungguhpun 1Malaysia adalah saranan beliau, namun hak keistimewaan Melayu tidak terusik sebagaimana yang termaktub didalam Perlembagaan kita. 9. Keadaan kita kini seolah2 terpaksa bertolak ansur adalah kerana Melayu tidak bersatu dan kita terpaksa bersandarkan sokongan dari pihak minoriti. Dalam pada masa yang sama pula, pemimpin2 minoriti didalam komponen BN juga cuba hendak mengambil kesempatan dari masa Pak Lah lagi. 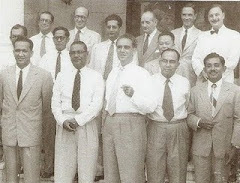 Namun demikian, Najib tidak lagi memberi muka kepada mereka dan terus menangani masalah bangsa Cina dan India secara menerus mengenepikan pemimpin2 ini yang sudah macam tidak ada kuasa memandangkan kepimpinan mereka sudah di "bypass" oleh PM sendiri. 10. 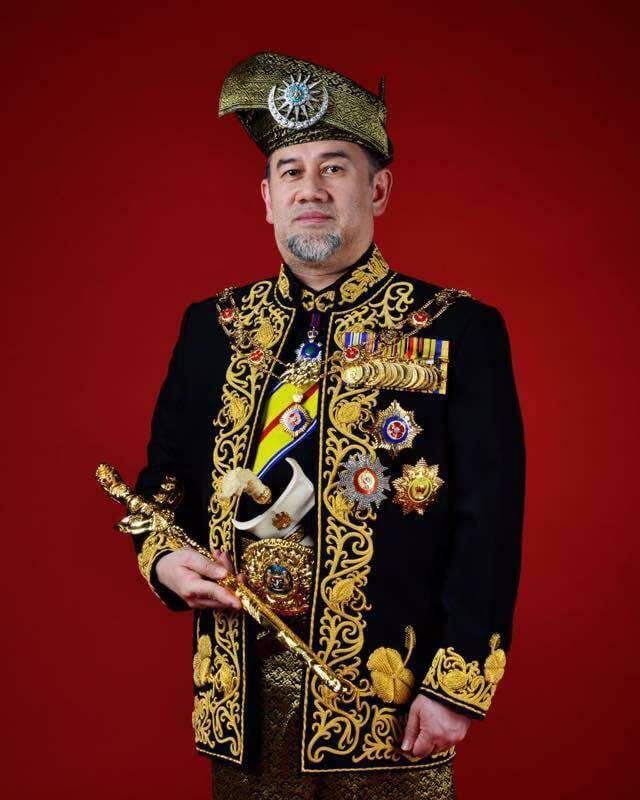 Saya sudah menyarankan malah menegur Setiausah Agong dan pemimpin2 UMNO sendiri di dalam penulisan artikel saya didalam The Patriot, "Big Mistake To Chastise Perkasa" http://tpj-one-thepatriot.blogspot.com/2010/09/big-mistake-to-chastise-perkasa.html) dan di New Straits Times "Don't Antagonise UMNO Supporters" (http://www.nst.com.my/nst/articles/17forgive/Article/) tentunya kita tidak memusuhi PERKASA sedangkan majoriti ahli2nya adalah dikalangan ahli2 UMNO. Namun demikian, saya harap PERKASA pula janganlah dijadikan kenderaan untuk agenda peribadi mana2 pemimpinnya atau disalahgunakan matlamatnya untuk umpamanya mendapat projek2 atau saham2 dari kerajaan yang mana perjuangan asalnya akan lari dari landasan. 11. Saya mohon maaf jika saya memberi sedikit nasihat dari pengalaman kerana Tuan juga boleh menyaksikan bagaimana satu pertubuhan NGO Perjuangan yang menggunakan perkataan Islamiah sudah lari jauh dari landasannya malah berbalah2 pula esama sendiri dan dijadika pakar penarik kereta pula. 12. NGO2 pendesak kaum Cina masih teguh dalam perjuangannya kerana mereka tidak berbalah diantara satu sama lain dalam pertubuhannya dan ianya tidak digunakan untuk kepentingan peribadi pemimpin2 mereka melainkan untuk bangsa mereka sahaja. 13. Peliharalah pertubuhan ini, dan jadikanlah ianya sebagai asset kepada bangsa Melayu serta tunggak kepimpinan kita dan bukannya musuh. 14. Saya mohon maaf jika ada terdapat persoalan yang diutarakan Tuan yang saya tidak terjawab atau tersalah jawab. 15. Menjunjung kasih diatas kesudian Tuan mengunjungi The Patriot. Saya harap dapatlah menyumbangkan lagi buah fikiran kepada kita disini. Namun berwaspadalah diatas perkara2 yang boleh kita ambil kira tetapi tidak boleh diutarakan secara umum demi perjuangan kita yang sedia ada. 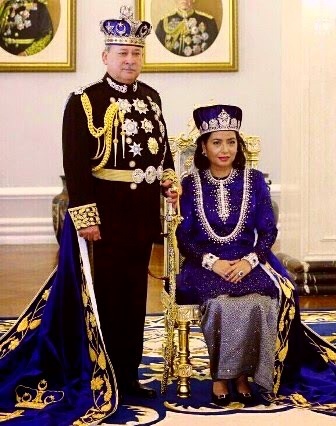 You may be right, tetapi semua harus ingat bahawa YABhg Datin Sri Rosmah hanya adalah isteri kepada Perdana Menteri kita dan tidak lebih dari itu. Kita tidak perlu memfokuskan attention kita terhadapnya melainkan apabila beliau mengiringi Perdana Menteri kita, ataupun mengendalikan badan2 sedekah atau kebajikan Negara. Berikan focus kita kepada misi Dato' Sri Najib Razak. Itu yang penting. Saya percaya kedua2 mereka sudah peka dengan perkembangan di Algeria dan beberapa negara diTimur Tengah yang mana rakyat memberontak tatkala meluat dengan karenah pemimpin2 atau isteri2 mereka. DiMalaysia, kita bersyukur, apabila pemimpin ataupun keluarganya sudah lari dari landasan, pemimpin2 dalaman sendiri akan bangun untuk samada membetulkannya ataupun menggantikannya tanpa pemberontakan besar2an oleh rakyat yang hanya akan merugikan kita sendiri dari segi ekonomi dalaman dan pelabur2 asing yang akan serik dengan tabat kita. Contoh yang terbaik adalah layanan yang telah diberikan kepada Mantan PM Tun Abdullah. Kita telah mengucapkan selamat tinggal kepaa beliau dengan penuh hemah. We don't have to like Najib's family, as long as we love his Government policies, which is free from any internal interference or exploitation. Najib Razak is a bonafide leader. Think Najib, Vote BN! We can deal with the unimportant matters later! Next time, it'll cost you more for my thoughts. But I'll take your 10 Euros worth in here for now. 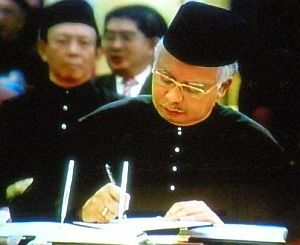 Standard detail untuk PM dan DPM adalah 8 pengiring peribadi. Ini perlu kerana dibandingkan dengan negara lain, pemimpin kita adalah lebih mesra rakyat dan selalu bersua secara amat rapat dengan khalayak ramai. Didalam keadaan ini, bukan semua orang dikalangan beribu yang disaring. Ianya hanya memerlukan seorang sahaja yang tidak stabil untuk melakukan sesuatu yang merbahaya. Namun demikian, kebijaksanaan dan budibicara atau dalam bahasa kasar, akal fikiran yang sempurna haruslah dipraktikkan oleh pengawal2 ini. Contohnya di dalam Perhimpunan Agong dimana orang2 UMNO sahaja yang terpilih dan hadhir, dan Presiden sudi untuk bersalaman, mereka tidak sepatutnya berkeras. Salah seorang dari mereka pernah dihentak oleh saya ditengkuknya kerana menolak dengan keras ketika saya sedang tunduk untuk bersalam dengan PM sewaktu dulu. Inilah akibatnya jika otak tidak digunakan. Kenyataan anda adalah tepat tentang beliau diantara pemimpin2 yang terunggul di Malaysia. Keadaan rendah dirinya sudah ditahap yang amat sesuai. KIta tidak mahu ada dikalangan rakan dan taulan mengambil kesempatan politik dibawahnya seperti dibawah Pak Lah dahulu. Terima kasih kerana sudi berkunjung dan memberi pandangan disini. You seem to know more about him than I considering there's something wrong with him according to you. However, if there is more right than wrong in our politicians, then we are still on the right path towards the future. If we dwell on one or two issues while duties are performed and promises are kept, we will just be hindering development focussing on constant replacements of representatives. Since you are in Nusajaya, what's up with the stunted development there by the Johor Government? Some duties not performed and a huge promise not kept perhaps? Thanks for popping by and do enlighten us on matters in your area. Attention is most paid in your region at the current. The Chinese seem to be getting much face by the government today because the Malays are not united. When we are not united it is only natural that the minorities being the deciding factor will be more arrogant and demanding. We will need their votes in order to stay with some comfort in power to help in turn the Malays at the end of the day. It's a sick irony but it's staring us in the face. For instance, in a company where two family members are at odds and holding equal substantial shares of 40% each ( x 2 = 80% ). The single minority shareholder's remaining block of 20% will be worth several folds more because the feuding family members will try to outbid each other in order to secure that block to have majority control of the company. SO, at the end, the outsider will benefit most because of the infighting between blood relatives. Anonymous, the Chinese don't need to share a website on how to dupe the PM in giving out more for less support. 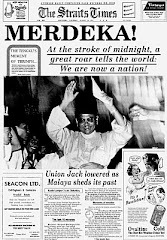 The Malays practically sold ourselves out by defying unity. We can bear witness to the consequences today in the State of Selangor. Berkenaan dengan sekolah2 agama, tidakkah ada pengendali2 sekolah2 ini yang ada akal fikiran yang berwibawa untuk mengeluarkan proposal yang hebat untuk institusi mereka sendiri? Mengapakah mereka terus mengekalkan tabiat pemalas dan "shortcut" yg selalu dijadikan synonym dengan bangsa kita kerana mencuri proposal orang lain sambil menukar kulit depan sahaja untuk diajukan kepada pemimpin atasan? Hakikatnya, orang Melayu wajib bersatu dan bangun untuk menjadi bangsa yang dinamis. Kalau kita bersatu dan dinamis, tidak perlu lagi pemimpin kita mengemiskan sokongan dari bangsa minoriti dan kita akan mendapat apa yang kita mahu dari kerajaan sementara meraih pembangunan untuk ummah sejagat. I can understand your frustration but that's the whole story of it. Ultimately, let's be United and give Najib the total support and see what Magic he can do for all Malaysia with emphasis on Malay development. Thank you for dropping your views. It is much appreciated and please do continue contributing in the The Patriot. I strongly doubt that the Chinese get 10 times more allocation than the Malays, but I can understand your point and why you are amplifying it. I'm not privy to the funds given out to 1MD Sdn Bhd but will certainly take a peek at it soon. "Spin Doctors" adalah untuk penulis2 pembangkang yang boleh menjadikan gunung dari benjol. Kadang2 pembohongan pun boleh dipercayai sebagai sahih. Contohnya, penulisan RPK yang menulis tentang perkara2 politik yang tidak sahih tetapi dianggap seolah2 sebagai hadith yang diriwayatkan oleh sahabat Nabi. Apa yang kita perlu adalah penulis2 yang menuliskan secara terus terang tentang jasa kerajaan setiap hari ianya berlaku. Tidak perlu untuk spin, hanya cerita benar dan sekerap yang ianya berlaku pun jadilah. Insha"Allah kita boleh berjaya dari hidup asyik menangkis dakyah pembangkang tanpa mengutarakan kebaikan kita. Yes, we must improve on this rapidly. Thank you for your kind participation. Sama2 kita bersyukur kehadrat Allah diatas berkat hidup di bumi Malaysia yang bebas dari bala bencana dan malapetaka alam sambil berada didalam keadaan, aman, makmur dan sentosa diantara berbilang kaum. Semoga Allah mencurahkan Taufiq dan Hidayah kepada pemimpin kita Dato Sri Mohd Najib Tun Abdul Razak supaya beliau boleh memimpin kita ke mercu yang lebih tinggi lagi. Terima Kasih diatas penghargaan anda. Segala puji2an saya serahkan kembali kepada Allah SWT. Ucapan terima kasih kepada PM untuk TERAJU, EKUINAS dan MTAB telahpun diambil maklum Insha'Allah. Sila kunjungi kami lagi disini jika ada kelapangan. Yes, Najib Razak is the Real McCoy! Yes the PM and BN are very lucky to have an affluent Rakyat who will be able to tell the difference between Pheasants from Chicken. Najib is blessed to be the Prime Minister of a beautiful country which is free from catastrophe, fatal natural disasters and one which is rich with natural resources and fine cultures. We in turn, are also blessed to be living under these circumstances as a peaceful Nation respecting one another and most of all, under the leadership of an able and charismatic leader such as Najib Razak, who is destined to take us on the path of rapid development and world recognition. This Prime Minister is one who will never take your vote for granted. I give you my affidavit on this Dr Jeya. I understand that today is a New Year in the Indian Calendar. If that is so, on behalf of The Patriot, Barisan Nasional, and All of Malaysia, I wish you a Very Happy New Year. May it bring you good health and much prosperity. Terima kasih Tuan Haji diatas puji2an yang saya sendiri tidak mampu menanggung. Segalanya saya pulang kepada Allah SWT kerana itu adalah hakNya sebenarnya. Insha'Allah saya cuba seupaya saya untuk menjawab setakat yang saya mampu kerana kadang kala, pembaca inginkan maklumbalas tentang perkara yang saya tulis. Itu caranya untuk kita menghormati pembaca dan membolehkan mereka untuk memahami dengan lebih jelas tentang perkara2 yang mungkin kelihatan kabur. Terima Kasih diatas kesudian Tuan Haji untuk bersama kita di The Patriot. Saya akan cuba untuk menulis dengan lebih kerap lagi namun waktu mencemburui kita. Saya berada di JB setiap hujung minggu dan jika ada kelapangan, silalah berkunjung di teratak saya untuk bertukar2 fikiran serta mengeratkan lagi Silaturrahim diantara kita. Semoga Tuan sekeluarga sentiasa dibawah pemeliharan Allah SWT. I have suggested that we charge Singapore vehicles $10 per entry more than 4 years ago together with my proposal for the government to devise different "islands" calibrated with current market petrol prices at the kiosks for foreign cars so that we won't have to subsidize them. Only the latter had been taken into positive consideration. The former had modifications and we see a flat rate now being charged to all cars entering including Malaysian. Yes, at $10, the demand to enter Malaysia is still inelastic especially for those who want to stretch the legs of their powerful machines on our freeways. They're dollar can buy more in value and quantity in Malaysia than anywhere else they'd care to compare us with. Perhaps the government is reserving that right while making them feel attached to our shores now before yanking that privilege out later by charging more. Wicked but possible. Thank you for your thoughts and we look forward to seeing you again in The Patriot. Yes, Najib Razak is all that you mention except that he is not too liberal as you had suggested. Give him his 2/3 majority and see him weave his magic for all Malaysians. He is a man of substance backed by a hard working deputy. Your children's future will be in good hands. Just make sure that they make the grades and with the will of God and Najib's vision, the rest will be on auto-pilot. Thank you for your kind words and Doa. It is in the hands of God, PM and my Division Chief to decide my qualifications and political worth as candidate. After that phase, it will be the Rakyat who chooses whom they want to be their servant. May Allah's Smile Be Upon You.